The fully adjustable O/U-barrel for shooting trap. Not only can the point-of-impact of both barrels be adjusted simultaneously, the possibility also exists to adjust the spread between the 2 free-floating barrels by changing the front hanger resulting in different point of impacts for each barrel if desired. This way, for example, the bottom barrel can be set to shoot higher than the top barrel. Krieghoff K-80 Trap DTS with fully adjustable rib for point-of-impact (POI) adjustments. Built around the proven K-80 receiver, the Trap DTS comes with 30" O/U-barrels. 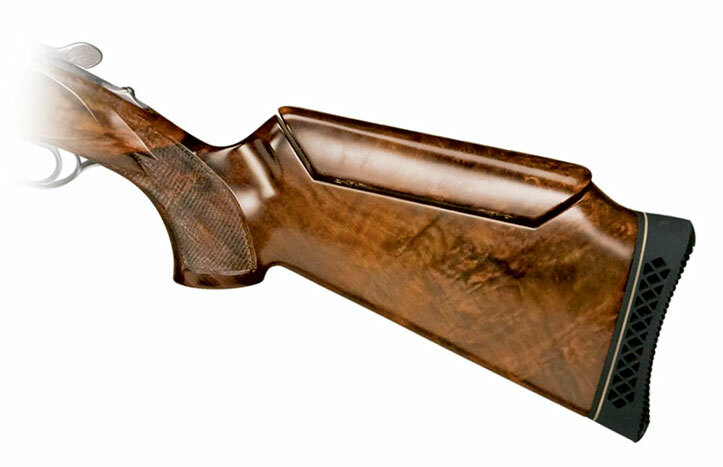 Choke tubes in all barrels and a Monte Carlo trap stock with adjustable comb designed for the high-post rib are standard features. 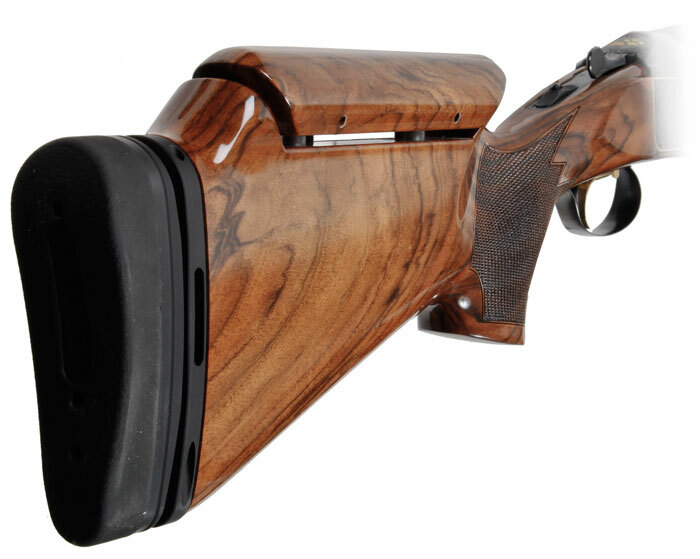 Shipped from the factory with a 70%/30% POI in all barrels, the rib can be adjusted so that the gun shoots a fairly flat 60%/40% or up to a full pattern (100%) high. All Trap Special barrels have 10-6mm (12-8mm with chamfer) tapered ribs and feature a white pearl front sight and metal center bead. 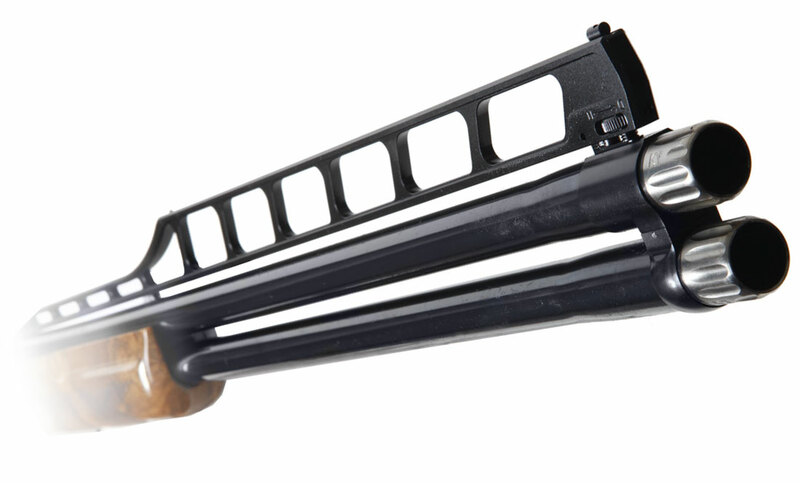 The Trap Special barrels include Choke Tubes in both barrels. Included are #2 Mod, #3 Imp Mod, and #4 Full. K-80 DTS Barrels are available in 30" (1,700g) and 32" (1,756g), both with Screw In Chokes only. Drop at Heel 82mm / 3.23"